It's hard to believe that there are still hidden corners in Florida, a state I've criss crossed extensively. Yet, I just returned from Cedar Key that harks back to the Florida of maybe 50 years ago. But what was even more curious was that every single person I spoke with before my trip thought Cedar Key was part of the Florida Keys on the east coast. In fact, Cedar Key is on the west coast -- so, clearly, not part of the Keys. And given that there are no water parks, or beach resorts, and that it's one hour from Gainesville or two hours from Tampa, it's understandable why Cedar Key is off the radar. The island of Cedar Key is one of 17 barrier islands, many of which are part of the pristine Cedar Keys National Wildlife Refuge. My base for this five-day trip was the Cedar Key Bed & Breakfast, a yellow pine, two story 19th century dwelling just steps from the water. Here I knew I had just stepped into another world when owner Alice Phillips greeted me saying "We don't lock our doors here." To a native New Yorker, this couldn't have sounded more alien. But every night we found the door to the inn's public rooms unlocked. There we could raid the ever-present cookie jar for chocolate chip or oatmeal raisin cookies, M & Ms, or biscotti. The town is oh, so walkable. So at night, we'd wander from dinner down the streets where everything shuts down at 9:30 pm to find our inn along a dark residential lane rimmed in tiny lights. What a welcome sight. 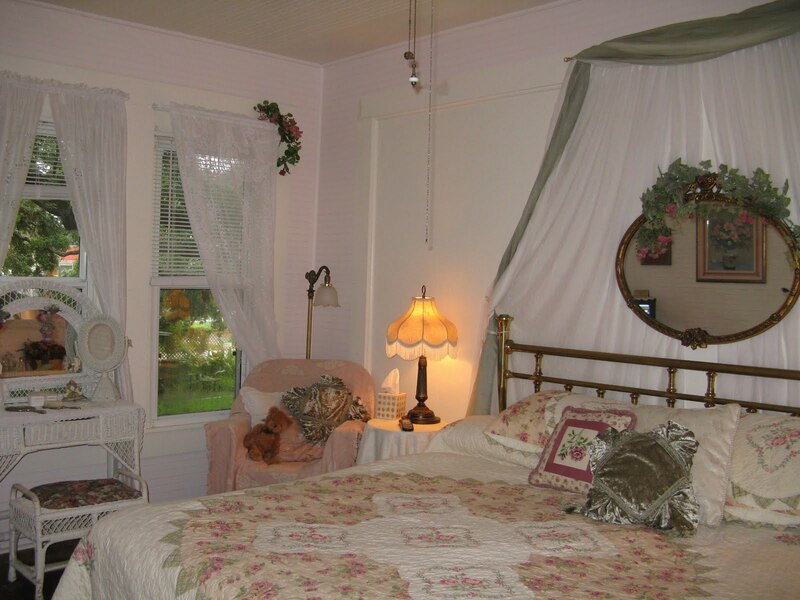 My room, the Honeymoon Cottage, one of the 7 rooms and 2 suites at this B & B -- was plenty quaint and comfy with thick bathrobes, a clawfoot tub, rose detailing, lace curtains and antique accoutrements. But the key selling point of this room is the views of the garden with the 500-year-old live oak tree. As a New Yorker where views of nature are in short supply, I couldn't get enough of this one. The backyard garden is where I spent much of my down time listening to the tinkling water fountain or watching the butterflies flitting about the blooming flowers. I often curled up with a book on the patio that fronts the backyard. And, despite the fact that the area drips with heat and humidity in the summer -- conditions I happen to love -- the patio was comfortable with its fans blowing a cooling breeze. The breakfast room, like the rest of the inn and Cedar Key in general, was like stepping back in time. An antique type phone and clock hung on the walls as did a framed set of the well-known Donax brushes that were made from local saw palmetto plants. Alice and Bill, her husband and co-owner, keep a wall of DVDs, CDs and books to occupy anyone who can't find enough to do in and around the islands. I spent five days here and I could've easily have spent another five or more. It's not every day that you find a warm, friendly place where the owners take such great care in providing their guests with everything they need for an enjoyable stay. They knew I'm very type A and I wanted to know everything there was to do and see and they didn't disappoint. They gave me the insider info on the best restaurant to eat chowder and who serves the best Key lime pie. They suggested who I should kayak with because I'm a novice kayaker as well as who gives one of the best boat tours in the area. But even more important were the other guests who checked into the Cedar Key B & B. I rarely hold long conversations with guests at breakfast. But here I found people who were smart, interesting and welcoming who had a love of nature. And many of them had either been here before or, if not, they knew they'd return again. And I'll be one of them, too. I grew up a bit north and west of Cedar Key, in the panhandle. There are indeed many lovely corners of the state, especially in the northwest but in every area, really, still very much off the beaten path. I was smiling, too, at how much your description of Cedar Key at night reminds of another place I've spent a good bit of time -- smaller towns in northern Ireland. the same stars shine as clearly there at night. Wow sounds like the most relaxing place ever! I wonder, since it's on the West coast, have they been affected by the spill? Hi Peggy, They haven't been affected by the spill. But everyone is keeping their fingers crossed. They have a great marine biology center there who is closely monitoring the waters. Everything is fine for now. Hope it stays that way. Hi Kerry, thanks for your comments. You know I haven't made it to northern Ireland. But it's on my list. Well, you've done it again. Made me want to pack my bags. I got so relaxed reading this that I would have dozed off, except that I wanted to know more and more. 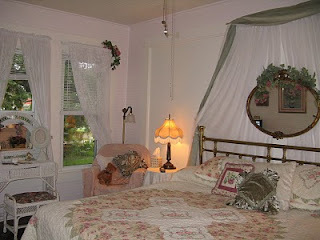 I love the descriptions, love the idea of the B & B. All great. I visit a cousin in St. Petersburg, and might arrange for us to go down there for a weekend break. Hi Vera Marie, I am really glad that you enjoyed my post. I hope you get to visit this quiet corner of Florida. It's such a delight. And, if you do make it there, I want to hear all about it. Hi Australian Immigration, Thanks for your comments. Yes, Cedar Key is quite the paradise. Hope to return maybe next year. Hi Shannon OD, That's really cool that you had a chance to visit Cedar Key. When I was in Tampa/St. Pete several years ago, I visited a bunch of green spaces but never had the time until now to drive up to Cedar Key. It definitely feels that you're in a far away part of the country when you're snuggled on those isles. Hi syderic, Thanks for posting a comment. I'm glad you enjoyed reading about this special place. Hi Anonymous re: ASJA -- Thanks for the heads up. And I love your images of the Small Sailboat event. I heard about it when I was visiting Cedar Key and wished I could've been there during the event. Looks like a lot of fun. Could you please give me your email? I will present you our program in details. Hi George, I'm glad you enjoy my posts. I'm on my way to the airport right now but will check out your site and get back to you. Again, thanks. What a great post, thanks so much for sharing this with us.